Ten Man Competitive Rowing Barge "William Farnsworth". 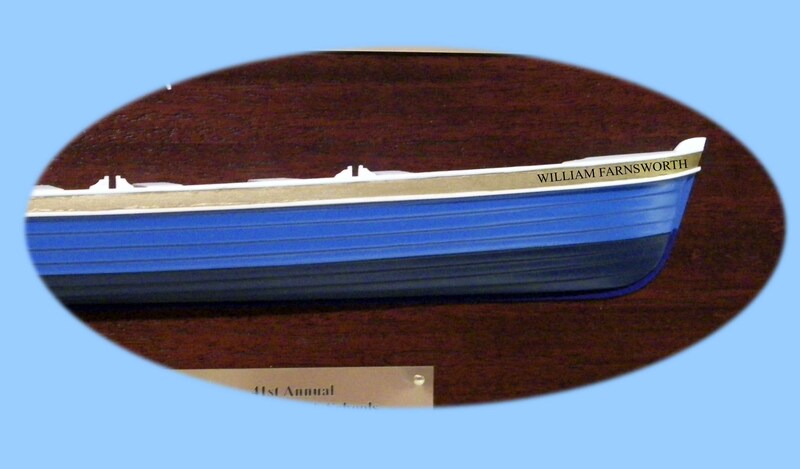 The Ship - The competitive rowing barge, "William Farnsworth" a.k.a. The Bonnie Blue Racer. 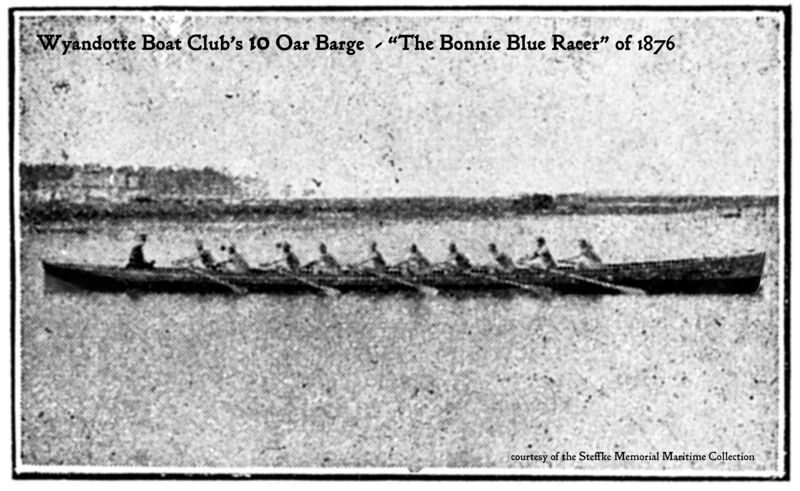 The sport of Competitive Rowing has a long and distinguished history, not only in the Detroit river region but in the Western World. When the modern Olympics' were revived in 1896 with the games held in Athens Greece, Amateur Competitive Rowing was one of the first scheduled events. 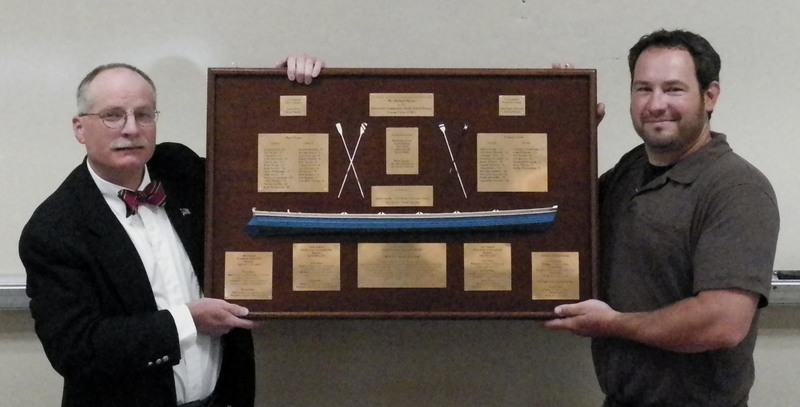 Keith M. Steffke presenting Riverview Community High School teacher & Head Coach, Mr. Richard J. Kesor, with the Commemorative Half-hull Plaque of the "Bonnie Blue Racer". The Model - Steffke's son has been a rower since his freshman year of High School and is carrying on the family tradition of being directly connected to the maritime activities of the Detroit river in this way. Mr. Richard Kesor is one of his Physical Science teachers at Riverview Community High School and serves as the head coach of the Riverview Pirates Rowing Crew. The Ship - The wooden cross-lake passenger & freight overnighter was originally built for the Graham & Morton Transportation Co., to serve between Chicago and their home port of Benton Harbor, Michigan. Built in 1892, hull number 111. 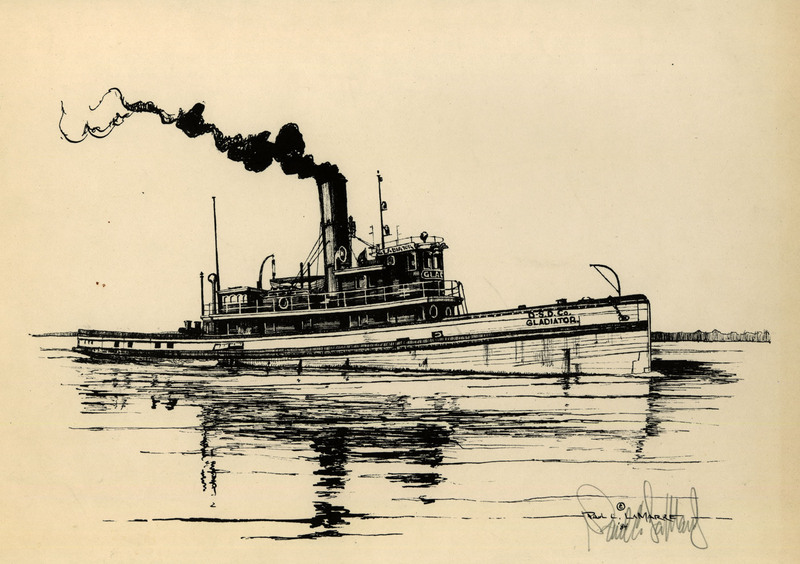 At nearly 200 feet long, the "Chicora" was considered Frank E. Kirby's finest wooden propeller and all marine men of the era admired her as the last word in this style of vessel. With her walnut paneled interior, and Tuscan red velvet upholstered furniture, she quickly became the favorite boat for the Chicago run. Sadly, after one and a half seasons of work the vessel met an untimely end. Laid up for the winter, she was called out of ordinary for an exceptional, final run of the season to take a load of flour from Milwaukee to Benton Harbor. 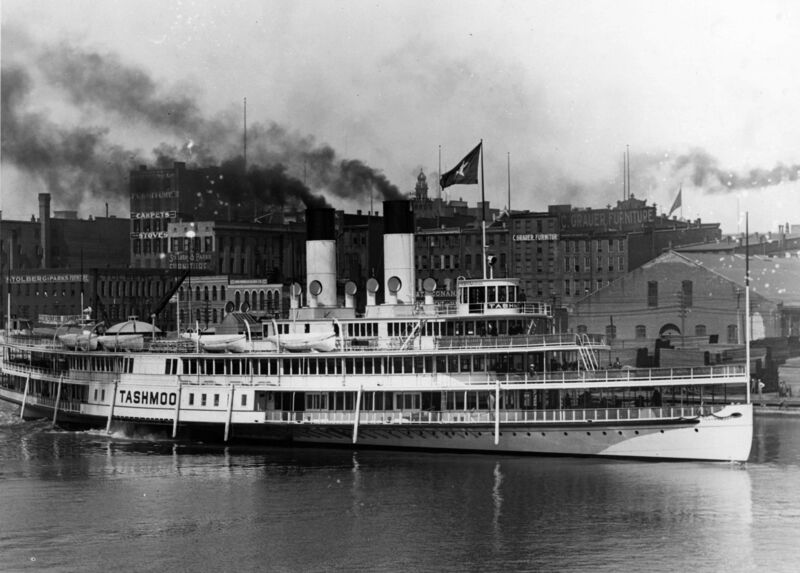 On January 21, 1895 she cleared Milwaukee with her cargo, one passenger and a crew of 23 men. An early winter storm was brewing that reached terrible gale force, later that day. The vessel never made port & there were no survivors. A mast, with her named bell floated ashore, later in the week, along with some other identifiable wreckage. 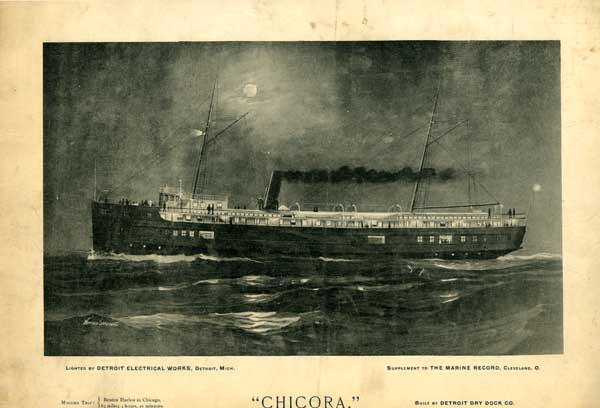 The story of the loss of the "Chicora" has prompted numerous expeditions to find her; she may be one the very best late 19th passenger shipwrecks in existence, if she is found intact. She is considered the Holy Grail find of Lake Michigan divers if she is ever found. 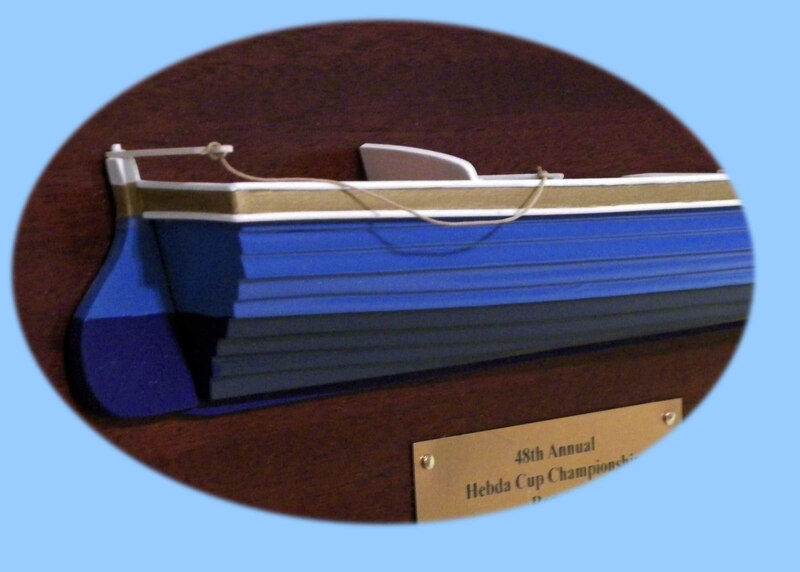 Top view of bow The Model - This model of the "Chicora" is a decorative presentation style half-hulled model. 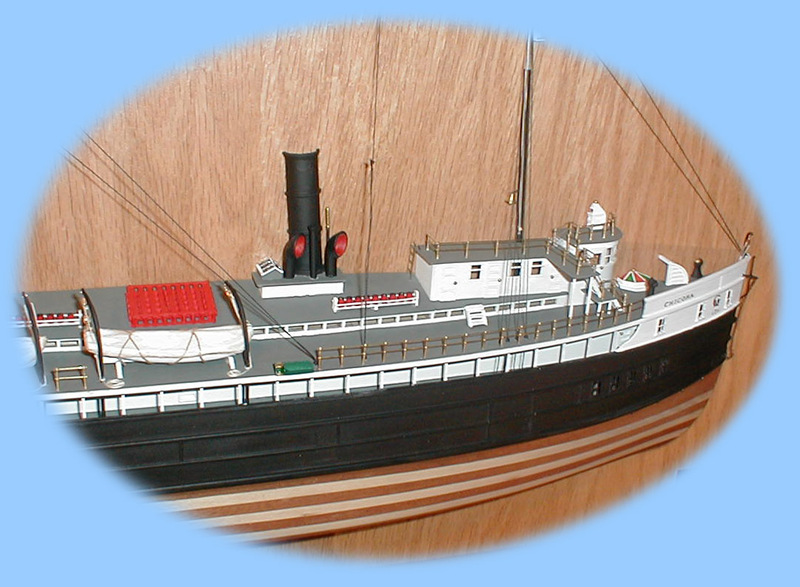 The Ship - a Presentation Style model, in Quarter Inch Builder's Scale, of the iron gunboat, "USS Michigan". The "USS Michigan" has the distinction of being the first vessel built of iron for the U.S. Navy and was constructed as a response to a treaty agreement with Canada which limited one armed vessel to each nation, on the Great Lakes. Because the iron shipbuilding technology in America was still in its infancy, the "Michigan" was considered highly experimental and controversial when she was launched in the winter of 1843. Most of her was forged in Pittsburgh, Pennsylvania with the plates taken to Erie by teams of oxen, for individual shaping and riveting. She would figure in many interesting incidents in Great Lake's Lore; from daring rescues of damaged vessels during storms, to the capture of "King Strang" of Beaver Island, to the failed plot of Confederate capture during the Civil War. She would regularly "show the flag" all around the major cities of the lakes, to try and gain recruits for the Navy. 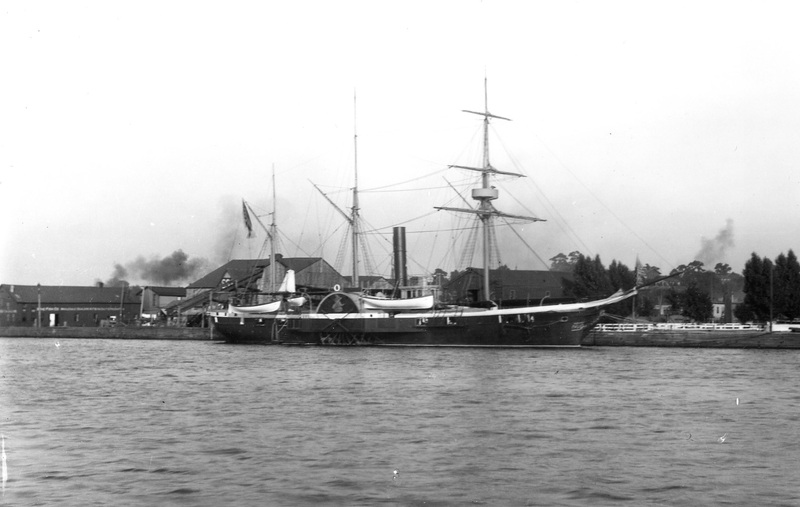 The vessel was renamed "Wolverine" in 1905 and would continue to serve as a gunboat and training vessel on the Great Lakes through the 1920s. 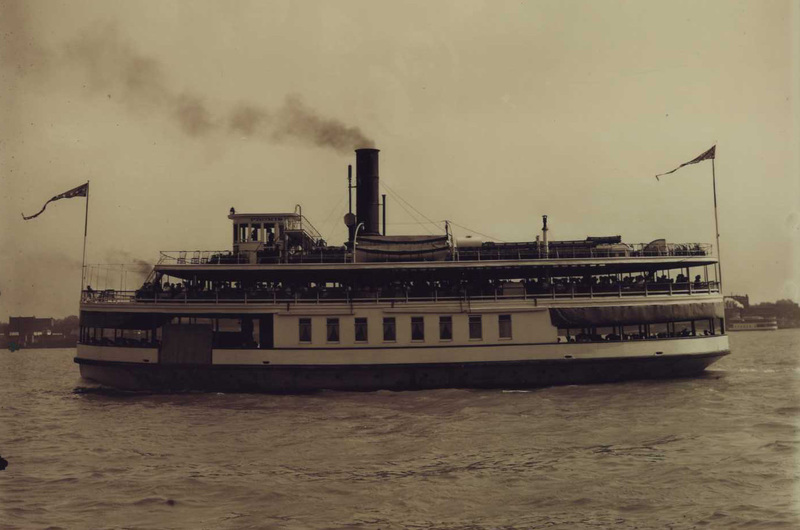 After blowing the cylinder head off one of her paddlewheel engines, the crippled ship limped back to the site of her launch and was allowed to rot away. She managed to survive the World War II scrap drives and even held the interest of President Franklin Roosevelt to be preserved as a monument. Despite these numerous efforts to save the historic vessel she was eventually scrapped in 1949 with only her paddlewheel eagle ornaments, and part of her bow with bowsprit and figurehead being saved by the City of Erie, her erstwhile homeport. 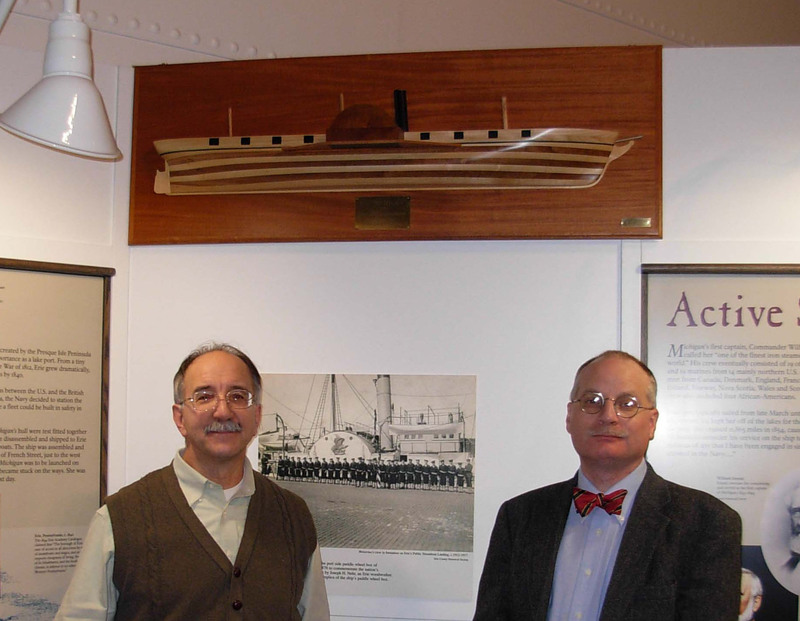 Presentation of the Builder's style half-hull model "USS Michigan" to the Erie Maritime Museum, Captain Walter Rybka and Keith M. Steffke, December 2008 The Model -This model is a typical "builder's half-hull" done in 1/4" scale. Models of this style and size where used by the early shipbuilders to construct the actual ship;the shipwrights taking their "lines" directly from the model itself, and laying off templates for each plate or plank to be made, in the mold loft of the shipyard. 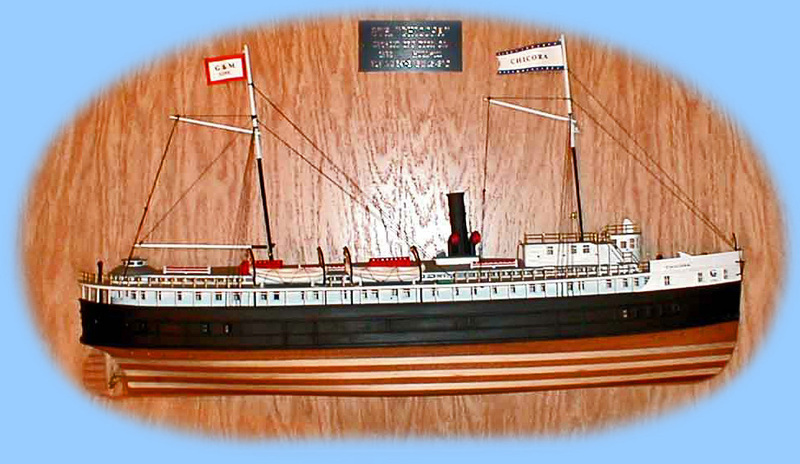 You can see this model at the Erie Maritime Museum in Erie, Pennsylvania, where is has been proudly dispayed since 2008. 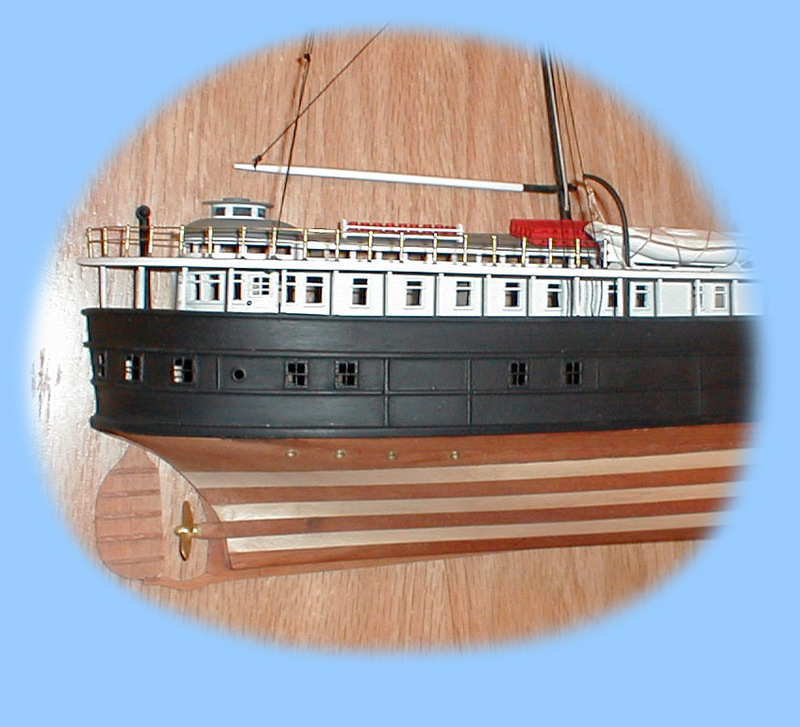 The Ship -Presentation Style model, in Quarter Inch Builder's Scale, of the large Lake Tug "Gladiator". 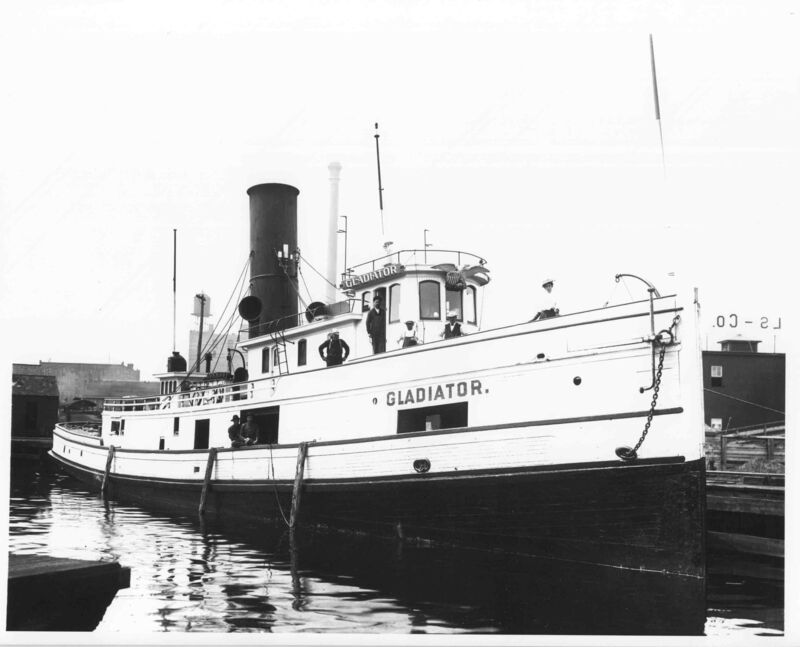 Originally built for cross-lake and long distance towing service, the wooden steam tug "Gladiator" represents a classic Great Lakes design perfected during the Civil War, and remaining in fashion until the 1880s. She was nearly 125 feet in length, overall, and was remodeled a number of times over her long life. Finally purchased by the Dunbar & Sullivan Dredging Company in the 1940s, she was home ported out of their Stony Island headquarters in the Detroit River. Seldom in service, the old tug was used for spare parts, to house workers and finally, as a storage hull. Some of her frames still lie in the shallows, at the north side of the island, a last reminder (and longest-lived) example of this once common style of vessel. Paul Lamarre's "Gladiator" Pen & Ink The Model - This model is a typical builder's half-hull done in 1/4" scale. Models of this style and size where used by the early wooden builders to construct the actual ship - the shipwrights taking their lines directly from the model itself. 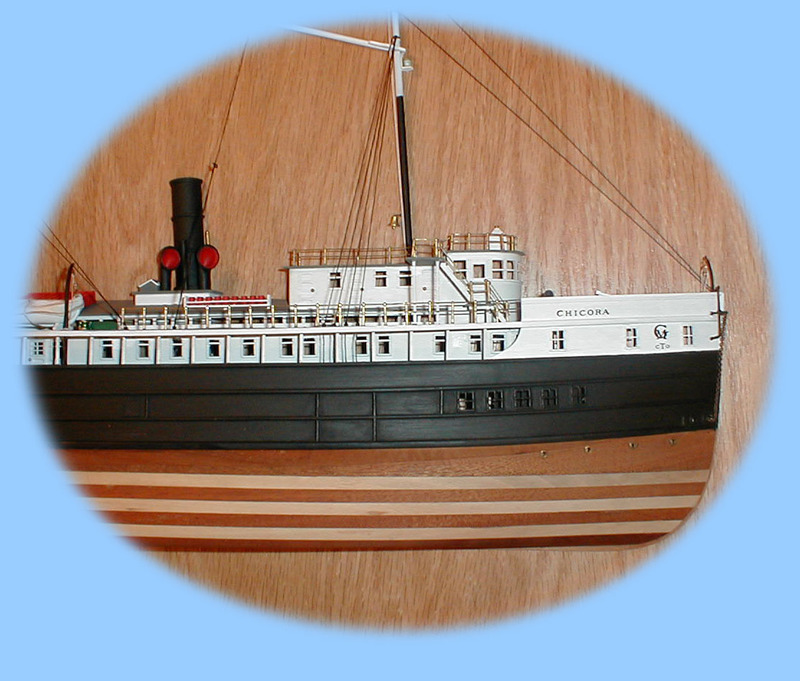 Pictured above is the half-hull model of the cross river ferry "Promise" of Detroit, Michigan. In 1892 hull 108 was built for the Detroit, Belle Isle & Windsor Ferry Company, the sturdy wooden hull "Promise" was laid down at the old J.P. Clark Shipyard (at the foot of Clark St. in Detroit) which was then being leased (& eventually bought) by these shipbuilders due to the overflow of construction at their Orleans Street wooden shipyard. She had an extremely thick oak hull and was designed not only to carry passenger & freight traffic across the Detroit River, but to serve as a year round ice-breaker, as well. She made history on June 18th, 1898 when the D. B. I. 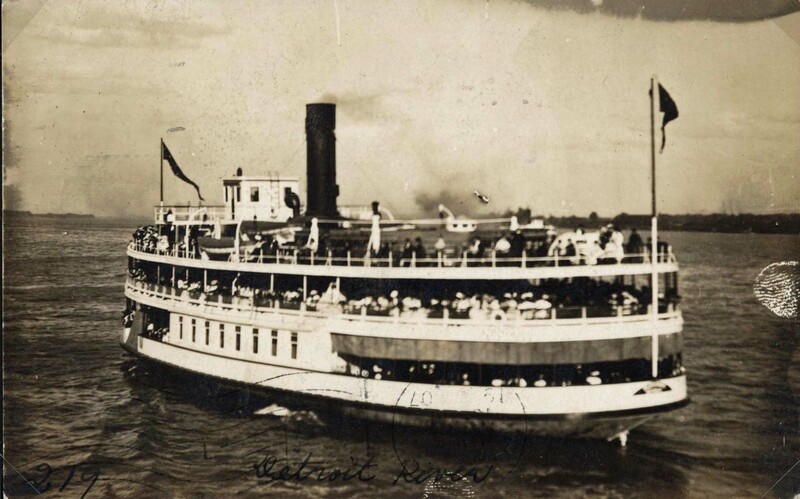 & W. F. Co., used her to ferry their first group of excursion passengers to their newly developed "Bois Blanc Amusement Park & Field", better known as Bob-lo Island. She is considered the grandfather of the later Bob-lo boats, as Kirby enlarged and refined her lines in the later "Pleasure"(1894) & "Columbia" (1902). The wooden ferry finally outlasted her usefulness and she was scrapped at Detroit in 1935. 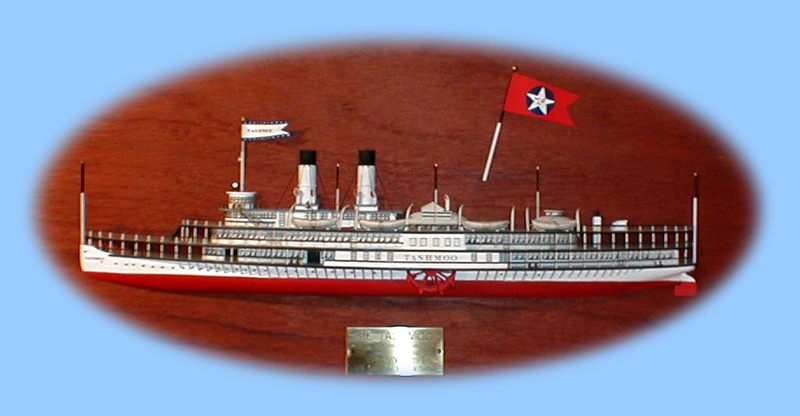 The Ship -A Presentation Style "Stand-Off" model, of the famed Detroit river passenger ship "Tashmoo".